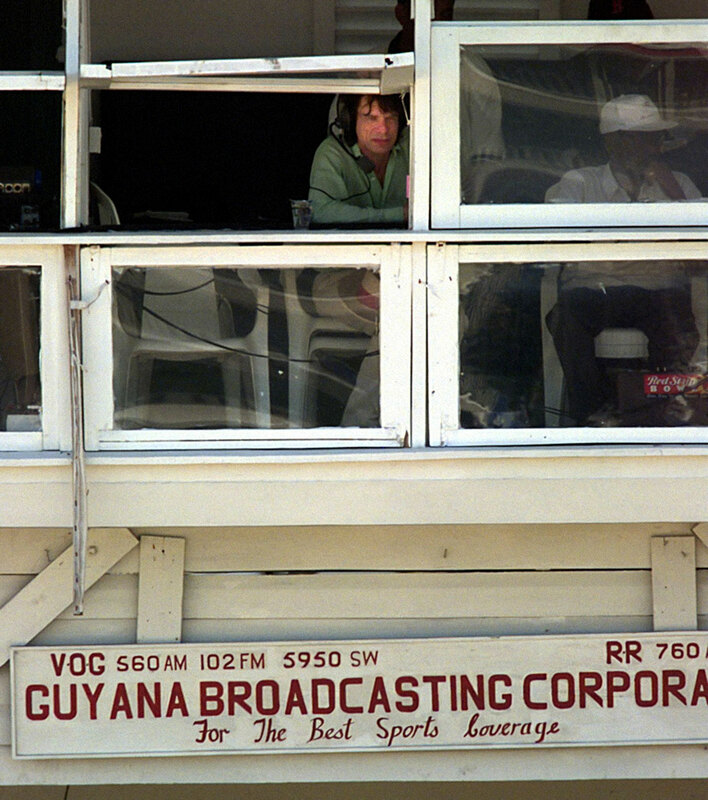 Untelevised, unsurveilled cricket may sound quaint to a generation raised on Hawk-Eye and Snickometer, but I remember it well from my childhood in Guyana. Without super slo-mo playback to distract us, we learned to focus intently and our attention to the moment, our awareness of its transience, lent significance to the details. 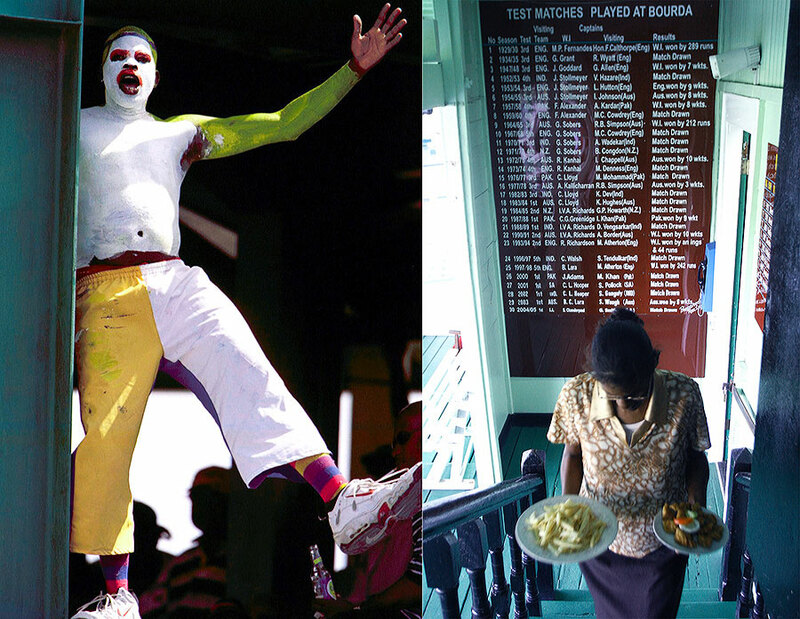 When, for example, a fast bowler started in on a long run, a theatrical hush would spread across the crowd. We tut-tutted at indecisive batting and liberally critiqued foot placements and overambitious late cuts, but when somebody produced a crisp stroke or sharp fielding or an especially fast delivery, a gratifying gasp would ripple through the crowd. Then, as the ball was gathered and relayed to the bowler, the moment would be digested and verdicts spoken - often these were no more than: "O skite bai, da man fas' bad!" Like a Greek chorus, we explained the action, mostly to ourselves; studying players' gestures and demeanour, noting signs of hubris, nudging our plot towards a climax. Bliss was it in that dawn to be alive! Lloyd's Four Horsemen and their batting cohort were rampaging abroad. Every one of their victories enlarged our sense of what we could be. Federation had failed and little in our splintered region, except, perhaps, a few musical outliers, seemed destined for greatness. But these cricketers looked world-historical. They were mentioned in the same breath as the Dallas Cowboys and Chicago Bulls! Few of us had watched either team, but we knew it was an unprecedented compliment. 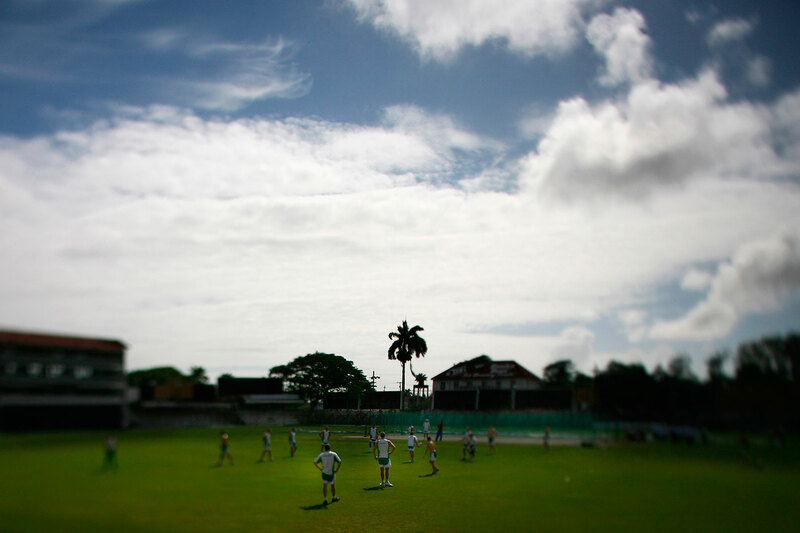 We rejoiced as the Windies redefined the Caribbean, perpetrating some colonisation in reverse, complete with grovelling. In the late 1970s the Packer series visited Georgetown. 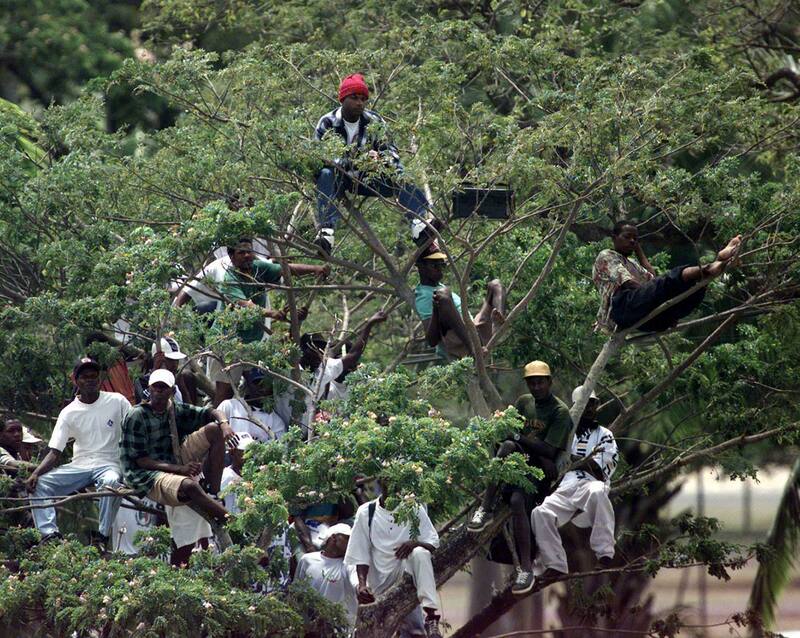 West Indians had not forgotten their harsh introduction to Messrs Lillee and Thomson and still felt the trauma. During the tour Garry Sobers played a charity golf match against Ian Chappell at Lusignan and I fearfully shadowed Thommo for a few holes. His oversize calves were unsettling and I thought he walked like an executioner. He looked and sounded pleasant enough, and people seemed to like him, but my eight-year-old self was undeceived. Something deep within me knew that this man - not to mention his Byronic partner in crime - was a terrorist. He'd come into the Dear Land with the worst possible intentions; we badly needed someone to keep the homeland safe. The Master was at the height of his powers. He ambled towards the batting track, helmetless, chewing gum with Olympian disdain. He took stock of the Aussie fielders with the air of a man trying to suppress a laugh, like a superhero smiling at hoodlums who have stopped him in a dark alley. He took his guard grinning. Somehow Viv could simultaneously smile at a crowd and squint at bowlers and fielders. When he settled into his stance he became serenely still and his condescension towards the bowler was palpable at a hundred yards. He peered into the middle distance with the look that parents adopt when they listen to a child telling a lie. The let's-stop-pretending face. His assurance was infectious and it drew us into the action. When he finally got down to face the bowling - against, I think, Len Pascoe - hundreds of us were pressed into the fence with bated breath. Politely he defended the first few balls before punching a boundary through the covers - a strike that unfolded like an afterthought, as though it would be churlish to keep us waiting much longer. Punched is perhaps too genteel a word, it was more of a slap, a contemptuous flash of forearms that ended with the sort of crack you might hear on a squash court. We roared, delighted. "When da man wan' lash yu, is trouble!" said one man. "Tek duh!" said others. The other highlight of my cricketing childhood was also at Bourda, but it didn't involve a bat or ball. There were Australians, though this time they were on the right side of the equation. After enduring what felt like a small eternity, waiting for the umpires to end a rain delay, a madman scaled one of the lower fences and took to the field. He marked out a long run-up and after polishing an imaginary ball, beckoning fine leg wider and square leg closer, he set off like a man possessed. A nice high, fast release of what looked like an inswinger was followed by his charmingly deft transformation into a batsman who parried the ball away with exaggeratedly perfect technique. Not content to leave it here, the madman mimed a fielder, and even collected the throw-in with the mock stumping flourish that real wicketkeepers like to make. By the start of his next run-up, the crowd was on board with the fantasy. He bowled teasingly at off stump for a few deliveries - some of which seemed to stray a touch wide, judging from the batsman's near-misses and the keeper's takes, but eventually one landed perfectly on a length and skidded on unexpectedly. A fantastic howl of appeal went up, echoed by the crowd. Then, morphing into an umpire, the madman moved in behind the stumps. He looked down the pitch and tilted his head ever so slightly to one side, as though the new perspective would resolve matters. After lingering there for an agonising pause that comes so naturally to genuine umpires, he raised a finger. All that remained now was for the forlorn batsman to make the walk of shame, removing an imaginary helmet and folding the bat under his arm. We greeted these inspired improvisations with rapturous laughter and applause. The Aussies, generously, sent someone from their dressing room over with a team sweater. It was the first time that I realised, with a pang of disappointment, that they might not be as awful as I thought. Sadly this was our only relief during the rain delay. We grew restive after a few hours and then rioted. I say "we" somewhat disingenuously because I only managed to commit a minor act of vandalism - middle-class morality! - before I was escorted from the grounds. After toppling the perimeter fence the crowd invaded the field, digging up the pitch and furiously pelting the pavilion with anything they could find. I witnessed a marvel of anarchic skill during this melee: a rioter who could throw an empty Banks bottle three-quarters the length of Bourda, into the top floor of the clubhouse, where it clattered into what sounded like glass and silverware. To this day it remains my Platonic ideal of a destructive gesture, equal parts anger and artistry. It was, in its way, a political counterpart to the Master Blaster's belligerence, a telling reminder of why it is better to channel such energies into the formal strictures of cricket rather than leave them festering in the Hobbesian world of everything that it is meant to transcend. La lucha continua no terminará fácilmente!